For comic book buffs with a penchant for DCs notorious crew of baddies, the Suicide Squad, the latest delivery from the Funko-powered Legion of Collectors is apt to be as satisfying as it is timely. Reaching the clutches of waiting fans in July, weeks ahead of the films big-screen debut, the Legions third box (following the and boxes in March and May of this year) is filled with wearables and display-worthy Funko collectibles. Stuffed within the cardboard confines of the July DC Comics Legion of Collectors shipping carton, subscribers will find a choice selection of Suicide Squad-inspired exclusives. In addition to a t-shirt, special edition comic book (Suicide Squad #1 with variant cover art), Deadshot pin, Katana patch, and a full color information card providing insider information on each of the items in the box, fans will be able to snag a trio of figures. Alongside the exclusive Enchantress Pop! vinyl figure, buyers will find an articulated twosome featuring the Joker and Harley Quinn. The duo of action figures represent the first two pieces in Funko’s all new, 3 ¾-inch line debuting exclusively for the Legion of Collectors. For more information about the Funko-fueled DC Comics Legion of Collectors, be sure to check out the official site here. In addition to getting the latest word on whatll be shipping in the months ahead (including the upcoming Women of DC box thats due to arrive in September), prospective subscribers can find the latest information about the Legions membership tiers, pricing, and how to sign up. 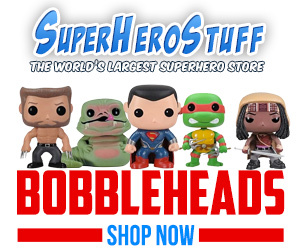 For Funko fans, toy collectors, and other pop culture buffs looking to find out more about Funkos other exclusive-filled boxes (including the Marvel Collector Corps and Star Wars Smugglers Bounty), be sure to follow the links above to their official web pages.